The well-publicized budgets cuts to court services in California have arrived, and it has dramatically affected the manner in which personal injury cases will be litigated in the Los Angeles County Superior Court system. This article is intended to highlight many of those changes. Department 93: The Honorable Teresa A. Beaudet and The Honorable Samantha Jessner. While the vast majority of personal injury cases will be assigned to these departments, some independent calendaring departments will remain for cases that are not considered “personal injury” cases for purposes of this program. For instance, cases involving asbestos, toxic tort cases, civil rights and discrimination cases, and defamation cases will remain with independent calendar departments. In other words, simply because there are personal injury aspects does not mean that the case will fall within the program. In addition, the system does have a mechanism for parties to petition the court to have the case transferred to, or transferred back to, an independent calendaring department. If the personal injury case is considered particularly complicated, a party can petition the court to transfer the action to an independent calendar court. The party will file a form entitled “Motion to Transfer Complicated Personal Injury Case to Independent Calendar Court”. A specific form for this motion will be made available within the next couple of weeks. No formal hearing date will be set, and there is no oral argument. Rather, the decision will be made on the strength of the paperwork itself. Also, at least initially, a stipulation of the parties to transfer the matter is insufficient in and of itself to obtain transfer. If the motion is granted, the case will be transferred to an independent calendaring department in the district where the personal injury occurred. It is important to note that “complicated” for purposes of transfer does not necessarily relate to the amount in controversy. Cases with contentious issues requiring numerous court appearances and cases with a multitude of parties are more likely to be deemed “complicated” for purposes of transfer to independent calendar courts. One of the primary results of this process will be the lessening of status conference appearances. New matters that get filed will receive a final status conference date, a trial date and an order to show cause re dismissal date. It is currently estimated that the final status conference and trial dates will be approximately 18 months after the case is filed, so long as the complaint is served within six months of filing. However, the court will permit the dates to be continued by stipulation of the parties. The Order to Show Cause date will be set three years and one day after the complaint is filed, with the goal of dismissing any unserved parties at that time. No case management conferences will be held, and no case management conference statements will be filed. Mandatory settlement conferences will not be held. If a case is transferred and already has a case management conference set, the parties can file a stipulation in which a final status conference date is selected 18 months in the future and a trial date is designated 8 days thereafter. The personal injury court’s general order regarding the new procedures and the requirements for the final status conference are to be served on all parties. The courts have also changed the manner in which discovery disputes will be addressed. No more can parties file motions to compel unilaterally other than a motion to compel where no answers were provided. Now, no discovery motion may be filed unless the potential moving party contacts the court and schedules an informal discovery conference. Once a personal injury case is set for trial, the case will be transferred to Department 1 for trial assignment. The case will then be sent to one of 31 trial courts in the county, 10 of which are in the Central Courthouse. The intent is to assign the case to the court in the district where the injury occurred, but this is not an absolute. After the case is assigned to trial, the lawyers will have 20 minutes to decide whether to make a peremptory challenge pursuant to California Code of Civil Procedure section 170.6. 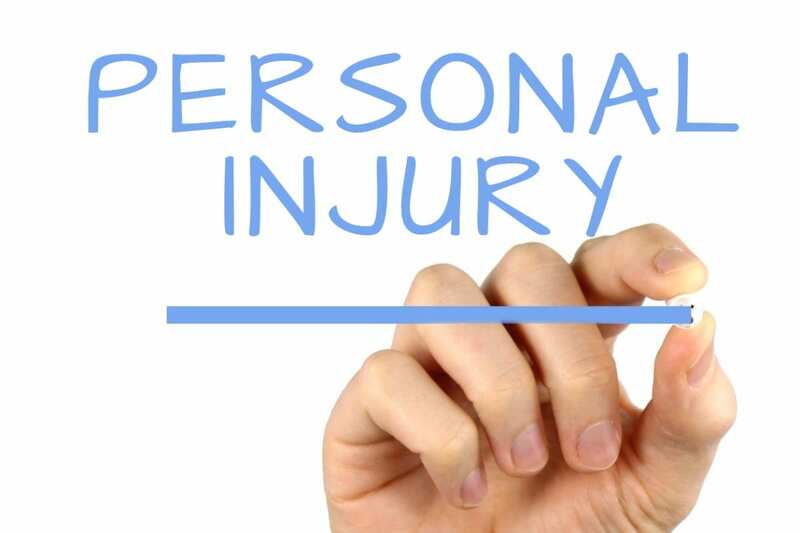 Litigants should keep in mind that while they can file a peremptory challenge to one of the personal injury judges, it may not be a wise idea as they will not be the trial judge. 1:30 p.m.: Law and Motion. Attached to this article are the court’s General Order, the suggested Early Organizational Meeting Stipulation which is encouraged by the court, the Stipulation – Discovery Resolution which is encouraged, and Request for Informal Discovery Conference. The practical reality is that litigants will have far more control over litigation than under the old program, and that “fast track” and “rocket docket” are terms of the past. Cases will take longer to cycle through the system, court hearing dates will be set far into the future, and court guidance and assistance will be in short supply. Lawyer cooperation is now pivotal, and seeking the assistance of private mediators will become even more important. As it will take longer for cases to get to trial, taking videotaped depositions of witnesses to preserve their testimony in case they are unavailable for trial is crucial. It is likely that lawyers that file dubious motions will be dealt with harshly as judicial resources are in such short supply. Court hearings will also take far longer as court calendars will drastically increase in size, and the available time for oral argument of motions will be limited. This system is new, and undoubtedly it will be a challenge as lawyers get used to the process. We also anticipate changes to be made as the kinks in the system are worked out, so lawyers and litigants must stay tuned for modifications to the process.